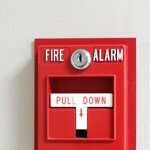 This Fire Alarm System NICET Certification Exam Prep course prepares students who will be taking the NICET exam to earn the Nationwide authorized NICET certification (Level I & II). This course reviews important concepts in engineering, building design, and electricity as well as advanced concepts in fire alarm installation, service, testing, and inspection. It is designed for electrical contractors who wish to have the qualifications for fire alarm system installation.